PhotoBooks £15 Starting price unless stated. All Prices are correct at time of listing but is subject to change due to the nature of Auction sales. Also as a note if you are looking to buy several items I will do my utmost to get you the cheapest shipping under your desired method i.e First Class, Signed for, Tracked etc. Additionally-- I plan on going to Japan around Mid-December (Dec. 21st- Jan 3rd or so). Does anyone know of what VK concerts are going on in that time frame? Also, how I could buy tickets to these concerts because I'm in the US now? 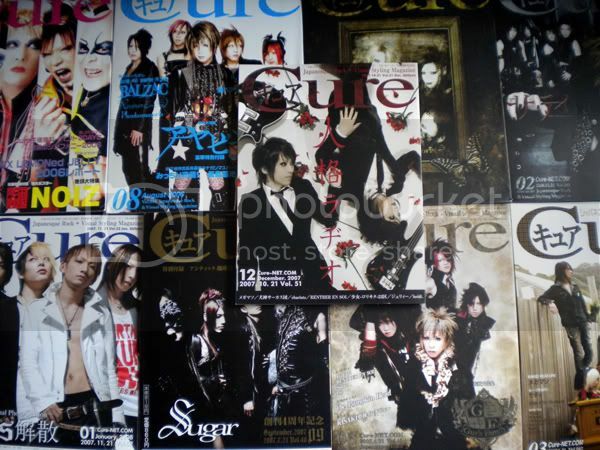 I will be accepting orders for L'Arc~en~Ciel world tour 2012 goods here~ please feel free to contact me should you have anything that you want to get your hands on and I will try to respond to you asap, thanks! my friend has opened a twitter account to translate tweets from @real_girugamesh, @shuu_grgm and @satoshi_grgm. please please support her and check out @girugamesh_tl, and if possible, follow and promote! NEW J-ROCK FAN-FICTION REQUESTS COMMUNITY! It's a new community so for now, I'm just trying to spread the word. Haven't seen one around so I made one. Like I said, it is new and we're still trying to get members before we actually get to work. Im selling a copy of the first Vamps album signed by Hyde and Kaz. If you are interested just message me. My asking price is $50 plus shipping. I got it signed by them when they came to Baltimore a few years back. It was a great show and I dont want to part with it, but other priorities must come first. Feel free to message me if needed. PLUNKLOCK European Tour 2012 by KANZEN MUSIC !!! Kanzen Music presents PLUNKLOCK in Europe 2012!! One of PLUNKLOCK concerts in Europe 2012 will be decided by fans. U can vote for your country by accesSing this poll @ http://www.facebook.com/KanzeNMusic. I am accepting orders for VAMPS' Halloween party goods over here if anyone is interested...thanks! 4. Mars limited press - $25 - SOLD! 5. Sixth Day - $23 - SOLD! I am selling my entire J-Rock collection! Please note that items that were bought from me for the previous concert will also be sent out this Saturday as the batch just arrived this week. For those who bought from me previously, and would like new items to be shipped out together, please let me know! Apologies for the delay! Thanks! 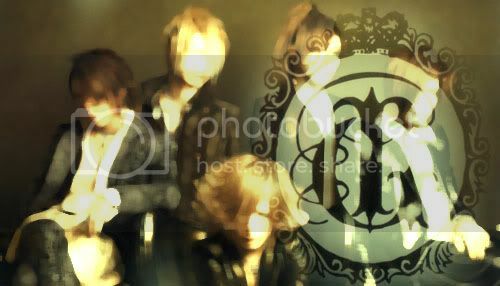 Yokohama, Japan — June 14th, 2011 — This is looking to be one of the biggest weeks for visual-kei releases. As always, HearJapan has you covered! First off, BLOOD is BACK! After breaking up in 2009, the band has reformed. Their new release “Bathory” features the same signature dark, pulsing electro rock and is accompanied by a host of great guests, including Ravishan (SUICIDE ALI), Masa (Dunkelheit), SEN (marlee), and GPK (GPKISM). As if it wasn’t great enough to have the band back in fighting shape, they’ve also included a new video along with the single, all for one alarmingly low price! Also, rumor has it that BLOOD will be going on an international tour…sometime soon! Get ready and grab the new single now! HearJapan is proud to offer up the very first release from Dunkelheit this week. “lover in the soil” combines classic vis-kei sounds with a fresh rock edge. This first effort from the band quickly became a HearJapan Hot Pick! The darkest, gothest dance band in the world, GPKISM, is back with their second full-length album “Reliquia.” Featuring vocals sung entirely in English (due to Australian front-man GPK), this is a band like none other. Their elegant take on techno is sure to heat up the floor on any self-respecting goth club around the world. And finally, as if all of this wasn’t enough, SUICIDE ALI have a new single, “Doner of lie,” releasing this week as well! They mix up metal, electronics and a grand feel to produce some monumental songs. This might be a lot to take in all at once, so head on over to the site and listen to clips from each and every song from all of these new releases. Let the darkness consume you! Host: Guild TV has started! Good evening viewers and good evening Guild! Host: Well, let's get started with introductions. Ryuichi: I'm the vocalist, Ryuichi. Host: Well then, you can participate in this edition of Guild TV via Twitter., So first let's go through how you can join in on the broadcast. Ryuichi could you please do it? Ryuichi: Uhh, hash potato? No. no...Viewers from abroad please follow "musicJAPANplus" and Japanese viewers, please follow "jp_mjp" Twitter accounts. Once you're a follower, please tweet messages directed at that account and include the hash tag #GUILDTV, which is used exclusively for this show. Just by doing that, you can be involved, live on air! So please send us your thoughts and comments throughout the program! I figure this is a good place to start. I saw Vamps in Baltimore a few years back and I got to meed Hyde and Kaz. So I got their first album signed. If anyone is interested in buying it, the cd is in great condition, never been played. I accept paypal so just give me a message on here and we can hash out the details. I paid 35 for it before it was signed so Im expecting more than that. We can negotiate if interested since Im not sure of what to charge for it.